By Erie Structures based in Tillsonburg, ONTARIO (CANADA). By AYS Project A.Ş. based in Sk. Mersin, TURKEY. 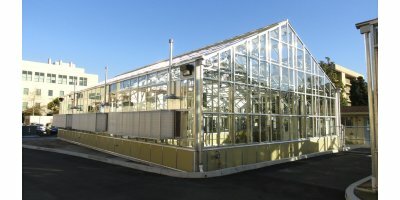 Especially In cold climate regions, it is used in greenhouse to prevent heat loss and water drops to drip on plant that condensing on greenhouse film. Heat Shield is generally manufactured as transparentin a single layer thickness of 20-25-30-40 microns. It is manufactured as UV, IR, AF additive according to demand. By Suga Coco Products Pvt Ltd. based in Pollachi, Coimbatore, INDIA.